1. Quit using credit cards. Credit cards should only be used when you absolutely have to for such things as reservations, but when you get the bill, the balance should be paid in full. As Krista explains, you’re going to be paying way more for a purchased item than you would have if you would’ve just paid cash. Buying sale items by using credit cards just does not make sense, unless you pay the balance in full when the bill comes, or you are getting a special introductory rate, such as 0%. 2. Always pay more than the minimum payment, unless you’re on a mission to pay off one debt at a time, as Krista points out. In this case, pay the minimum on all debts except the one you’re trying to pay off first. Continue this process until you pay off that one. Then take the amount you were paying on that debt and apply it to the next debt’s monthly payment, repeating this process until you get all the debts paid off. 3. Try to pay extra payments toward your principle on loans. For instance, getting a 30-year mortgage on your home…you could end up reducing that down to 20 years or less with just a little extra money and effort on your part. 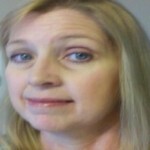 For more information, check out Krista’s full article at http://cleaningouttheclutter.com/2012/04/paying-off-debt/ . In addition to those tips Krista shared in her article, here are a few more tips to help you get out of debt. 1. Figure out which debts you are paying the most interest on, and try to take out a loan at a lower interest rate to pay those debts off. In some cases you may not be able to pay off all your debts, but at the very least, you’ll lower your payments and free up some cash so that you can apply it toward the remaining debt. 2. Participate in credit card balance transfers. Many credit cards offer low or zero interest balance transfers. 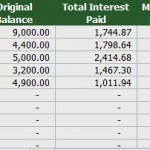 This is a great way to move your high interest balances over to a lower interest credit card. The only thing you have to remember is that these offers are for a limited time only. Try to find those that offer at least one year. After the term of the offer has expired,the interest will automatically increase to one that is usually very high. Only transfer an amount you feel confident you’ll be able to pay off before the term expires. 3.Don’t carry your credit cards in your wallet. Only keep one or two for emergencies. If you don’t have them with you, then you won’t be tempted to use them. This is especially true for department store cards. I sometimes will apply for department store cards just to get the discount on my purchase, but when the card comes in the mail, I never use it unless I have to use it to participate in a particular sale. Then, as mentioned earlier, I pay the balance in full. Be very careful about how often you do apply for new cards, because it can lower your credit score. I only do this if I am making a big purchase and the discount will be worth it. This may be once every 18 months or so. I really have way more than I need now, so I don’t like doing this. Another thing to keep in mind is that once you have one of the store’s credit cards, you’re going to receive notices of special sales and promotions, so there are some benefits to having these types of accounts, as long as you use them responsibly. Quicken Home and Business 2013Now that you have some tips to get you motivated to take control of your finances, you may be wondering what tools are available to help you manage your debt. The number one tool I suggest is a good account management program such as Intuit’s Quicken. Quicken allows you to keep up with all your bank, loan, credit card, and investment accounts, as well as a lot of other things. This makes it so much easier for you to manage your finances, if everything is in one place. In addition to tracking your accounts, you can set up a budget, plan for retirement, track your investments, track expenses and spending, and manage and pay your bills. Quicken will even link to many of your online bank accounts to automatically download data straight from your bank. It’s really amazing software! There’s so much to it, it’s hard to explain it all here. You’ll just need to go to http://quicken.intuit.com to read all about it. There are others out there, such as Microsoft Money, but I really think Quicken is the most comprehensive. Quickbooks is also one of my favorites if you own a business. It does all the same things Quicken does but will handle such things as payroll, inventory, and taxes for your business. There are many free mortgage calculators to help you figure out whether a loan is the right choice for you. One of my favorite sites is http://bankrate.com. They have many mortgage calculators and amortization schedules to choose from, with varying types of interests and loan terms. Last, but not least, I want to share with you a tool which will definitely help you get out of debt. As with the other tools, it’s not the only option, but one of the best I’ve seen; plus, it’s FREE! It is called a debt reduction calculator. 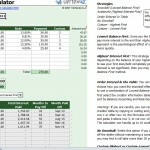 It is by Vertex42 (http://www.vertex42.com/Calculators/debt-reduction-calculator.html). It is in a Microsoft Excel format, so you will need to have this program installed on your computer to be able to open the calculator. Getting out of debt will require some work on your part. You will need to take a hard look at your current situation and project how and when you want to be debt-free. Set realistic goals and don’t beat yourself up when you slip up. The most important thing is to make progress by stopping the increase of debt, getting the best interest rates you can, and have a pay-off plan that you stick with. Feel free to share with me any tips and tools you use. Also, I am available for any questions you might have. Today is the day you can begin your journey to become debt-free!